Welcome to Flower Paradise! Solve your way through unique flower puzzles in order to turn a patch of dirt into your own beautiful garden! 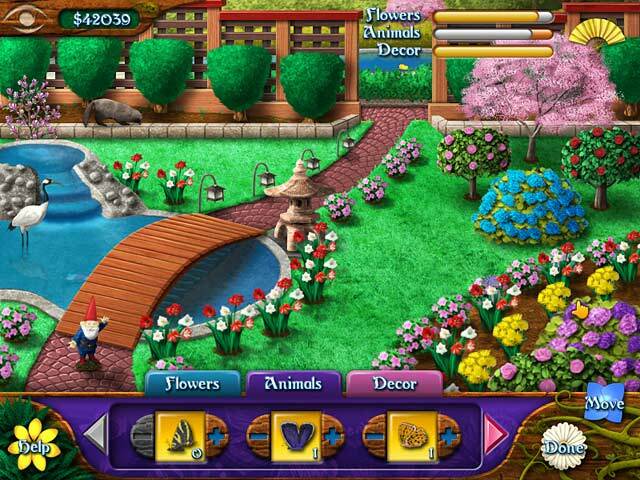 Customize your garden with flowers, plants, birds, butterflies, fish, hedges, statues and more as you unlock each feature using your Match 3 skills. Once you have your garden exactly the way you like it, you can turn it into wallpaper for your desktop, or even an animated screensaver! 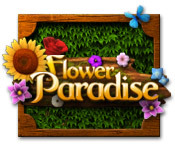 Flower Paradise is rated 4.4 out of 5 by 28. Rated 5 out of 5 by tracylustig45 from Great game ! Absolutely one of the best Match 3 games I have ever played ! I suffer from Seasonal Depression during the winter months and the flowers, sun and other things in the game is very uplifting ! Rated 5 out of 5 by splash1234 from Love garden games! Don't know what they did but I bought this game way back in 2012 but it never worked... just now it works!!!!FINALLY. This is a tranquil, fun, eloquent, relaxing type game. But then I love gardens and outdoors more than anything!!! Its a fairly simple game but like I said relaxing and pretty. There are three gardens to decorate. There are bushes, flowers, fish, butterflies, birds, animals,...lots of things to choose for each small garden. Its a match 3 game. Even the power ups are cute...like a cloud that rains and clears a space, a waterfall that clears a whole line, etc I hope they come out with a Flower Paradise 2 game. They could do so much more...just use your imagination!!! A little eiffel tower in a french garden...lots of statues and fun stuff...please, please, please make a newer updated second game...perfect for spring!!! At least give this game a try. Have fun!! Rated 5 out of 5 by Ceolasfolly from Love Flowers I bought this game a few years ago. It's still one of my "go to" games. It has two choices for play, the typical match 3, or you can choose to block out groups at once. Building your own flower garden is a lot of fun. 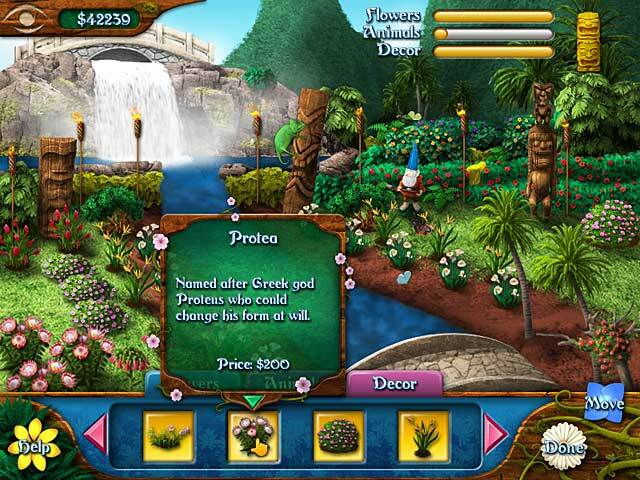 You get choices of flowers and shrubs as your points build. You get 3 gardens to build. Problem was that in just my first month, I played this game so much that I had all three gardens full. I now have thousands of credits built up. I wish there were more garden templates to use for all my built up credits. But, you can always go to your gardens and delete your work and rebuild again. I play this game almost every day. It's fun, relaxing, and the visuals are so enjoyable. This game even gives you an option to use one of your gardens for a screen saver. I love the waterfalls and the little creatures that move through your garden. PLEASE, give me more gardens to fill. Love this game! Rated 5 out of 5 by Mariavalk from Great game Love this game. Specially the combination of Match3 and BoxClear. Are there more games like BoxClear way to play?? Rated 5 out of 5 by Eislek from I liked the motivation for gaining matches I liked being able to decorate the garden. Rated 5 out of 5 by SuperGirl38 from Pretty and Relaxing Game This is a relaxing match 3 game, and the graphics are great. Love the addition of being able to buy pieces for a garden after each board. Makes me want to keep playing so I can keep building my garden. Rated 5 out of 5 by OllyPoP from Zensational! Calming. Relaxing. Not challenging. Keeps your attention. Then can create a beautiful garden. I love it1 No glitches, hick-ups or graphic problems! Parents take note for the kids! Good, clean Peaceful. 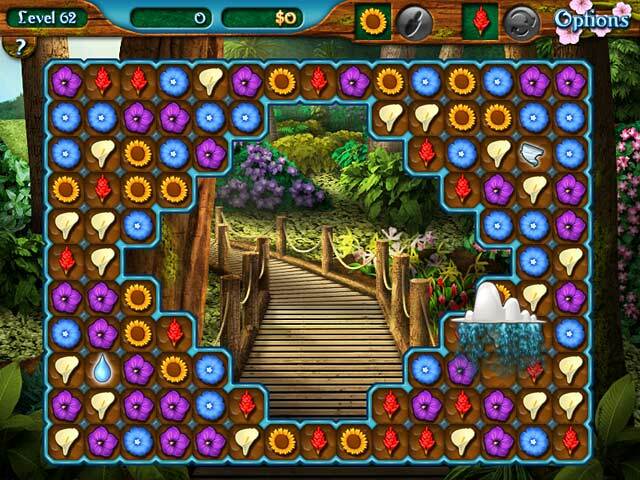 Paradise awaits in this fun filled flower matching game! Customize your gardens as you unlock new flowers and features.